Leading Suffolk law firm Greene & Greene has advised Nexus Underwriting Management Limited on its acquisition of Vectura Underwriting, a specialist Marine insurer and reinsurer of niche marine business from Aquila Underwriting LLP. 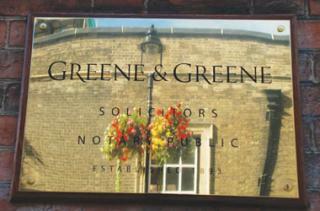 The Greene & Greene team was headed by mergers and acquisition specialists, Simon Ratcliffe and Andrew Cooper, both partners in the Corporate team at the firm’s office in Bury St. Edmunds. Founded in October 2008, the Nexus Group is one of the largest and most profitable independent specialty Managing General Agents (MGA) in the London market, concentrating on niche classes of business whilst delivering excellent service and cutting edge products. Vectura, founded in 2007, will operate as a Nexus Marine business unit within Nexus Underwriting Limited and will continue to specialise in International Cargo and Freight Liability Insurance, ATA Carnet and Customs Bonds associated with the transport of goods. As part of the transaction, founding partners of Vectura, Stephen Fletcher and Tim Hancox, will continue to lead the business and shall bring with them a wealth of experience in the speciality marine market. Greene & Greene’s involvement in the acquisition of Vectura Underwriting follows on from its lead role in advising Nexus on its purchase of various businesses since 2011. If you have any questions with regards to the acquisition, disposal or reorganisation of a private company, or any other Corporate law matters, please contact: Simon Ratcliffe (simonratcliffe@greene-greene.com ~ 01284 717426) or Andrew Cooper (andrewcooper@greene-greene.com ~ 01284 717511).